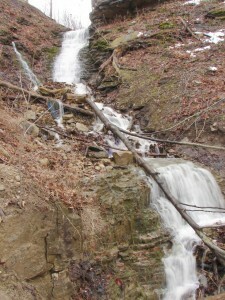 Taro Falls is a washboard ribbon type waterfall which is located on a side tributary of Davis Creek to the east, between Felkers and Little Davis Falls. Its watershed is the lands of the old West Taro Quarry, hence its name. Its crest width is 6 feet, or 1.8 metres. Its height is 40 feet, or 12.2 metres. 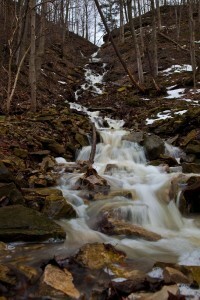 It experiences flow only after heavy rainstorms and snow melts. 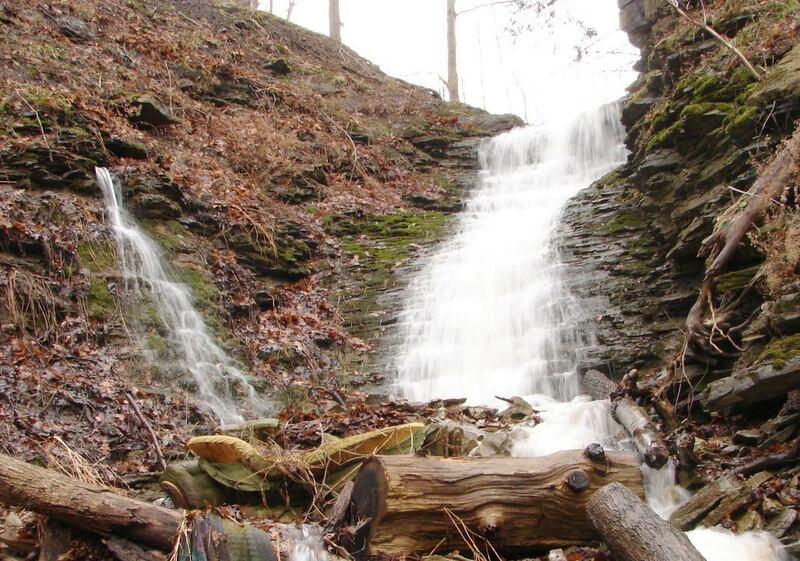 The upper part is very interesting in that in low flow the falls will appear dry, but it is actually flowing underground and reappears out of a crevice in the rock five feet east of the falls and then it rejoins the lower falls. 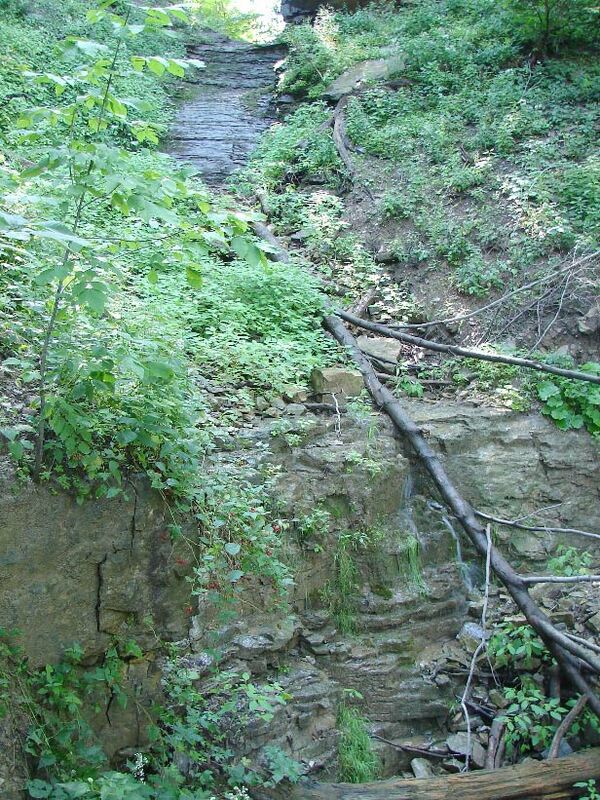 This is a Karst type feature which is interesting as this falls joins up with Davis creek which is downstream of Eramosa Karst. 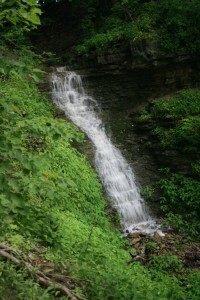 Taro Falls is also called Heritage Green Falls. Phil Armishaw discovered Taro Falls in 2008 using an online mapping program. The following weekend he went to the site with two friends and took some photos. 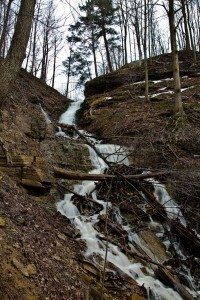 The top of the falls is located on the Bruce Trail just east of Felkers Falls. 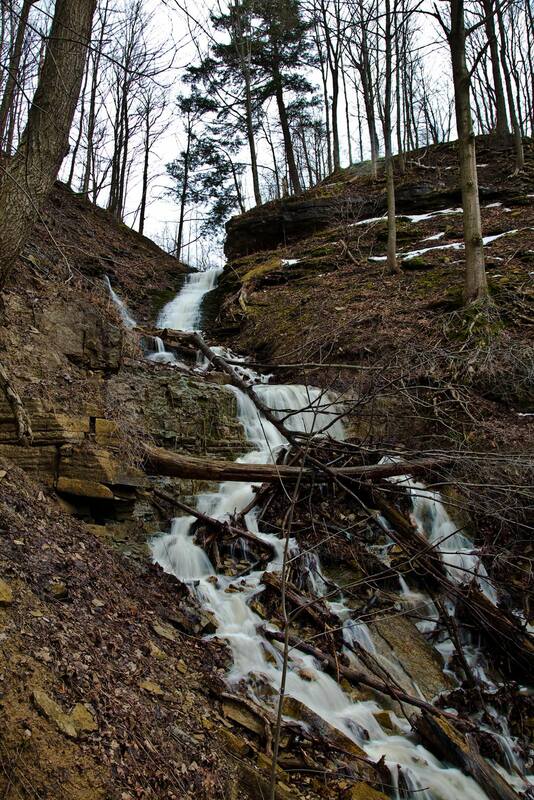 After leaving Felkers parking lot, cross the bridge to the east side of Davis Creek and follow the Bruce Trail north east past Felkers Falls until you reach the creekbed. The falls is located on your left side. If little to no water is flowing you can walk down the creek to the falls. You might hear the water flowing under the loose rock. For viewing from the base, hike in from Little Davis Falls and watch for the side ravine to your left as you head upstream.